So, what makes us a better person? It’s a question that is difficult to answer. However, it is not tough to surmise that people that surround us affect the person we are. If we are in a bad company, we are likely to be on the bad path and I guess the opposite is also true. So, again, what brings change in our life if we are on the wrong path? It can be anything. A person. A special someone. A pet. A mentor. Our goal in life. …And sometimes, it is our kids that make us a better and responsible person. Or let’s just say that when we start feeling responsible for someone or something, we become a better person. Something similar is what happens to Pawan Kumar Chaturvedi aka Bajrangi Bhaijaan. 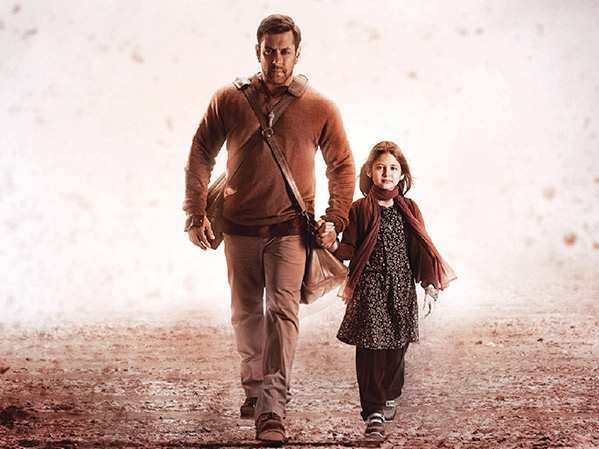 He becomes responsible and starts feeling a better person after he meets Munni – Munni that makes his name famous (and not badnaam) at the end of the film. It all starts with the clean sound of what sounds like Gibson Original Acoustic Guitar backed with rhythm play on Electric Guitar and a bit of understated strumming on Acoustic. I love how Pritam utilizes Guitar throughout the song without being grandiloquent about his Rockstar-esque approach to music which has roots in his fanaticism for the bands like Queen and Metallica, and it is quite evident in his affluent discography. Another thing that is noticeable in the song is that none of the instrument overlaps another. It is a beautifully crafted composition and my huge compliments to the sound designer who has worked on it. The arrangement is fabulous and more so when the scale undulates from low to high and viz. at perfect timings. KK has always been one of my favourites and he proves the reason behind it in this song. His mellifluous voice and the range he has got sounds just hand-in-glove for this song. What’s so special about KK is that when he takes high notes, he does it without making an extra effort. Some singers have a tendency to raise the voice during the high scale excerpts, which is not the case with KK or is it the work of the sound designer again. Only Pritam has the answer to it. This is the version which is used in the film and deserved so. Listening to Javed Ali is a delight if you are a Sufi songs aficionado like I am. Javel Ali has got one of the sweetest voices ever and I would love to compare him to Sonu Nigam on the basis of similarities. His singing style is again understated but effective. The competency of the singer can be observed in his association with A.R. Rahman Sir. How I wish they had used this song in the film too. Ah, Papon! How I love his voice and the way he sings. He uses all his range so well in this and that idiosyncratic way of stretching “Main Dil” just does the magic. There are lots of musical mischief (harkat) in this version. My personal favourite of all three versions is the one by KK. The visuals of Pawan and Munni together and how the guy starts observing her as the angel of his life never fails to give me goosebumps. Their growing affection for each backed by warm gestures acted by both of them adds a lot of emotion to the song. Not to mention Kabir Khan’s impeccable ability to induce sentiments by creating a sob-worthy situation. 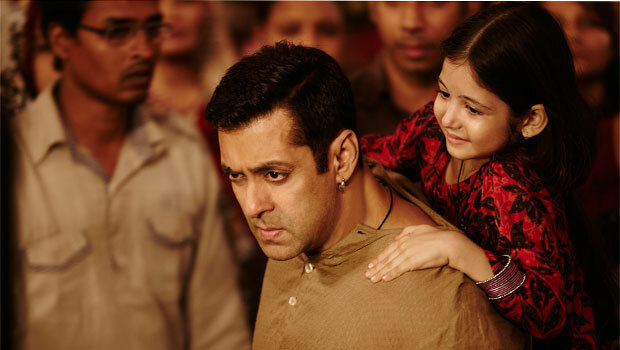 Watch the last scene of Bajrangi Bhaijaan which dispels all the doubts about the same. Ah, what profound and emotionally sound words. This song has been special for me for a long time and makes me kind of resort to it when I am looking for inspiration. I guess it did the job again because I could write in the morning after a week. On this note, I, on behalf of Movie Masala wish you all a Happy Dussehra! We hope that you find that one person or have a life goal that will make you a better person and take the Ravana out of you! Shall I quote the cliché?